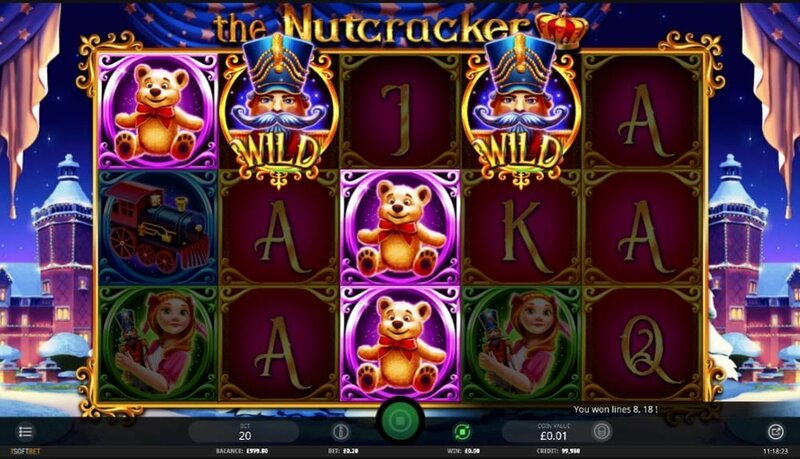 The Nutcracker designed by iSoftbet is medium variance 20 payline, 5 reel video slot with excellent visuals. It’s that time of the year again where developers start rolling out Christmas themed slots like candy to children on Halloween night. If we go under the hood of The Nutcracker it has two smashing Free Spins bonus rounds that awards as much as 60 free spins (re-triggerable feature) with multipliers of up to 10x, streak re-spins and stacked wilds! The RTP (Theoretical Return to Player) is 95.79% and it offers a non-progressive jackpot of 5,000x your stake on a single spin. 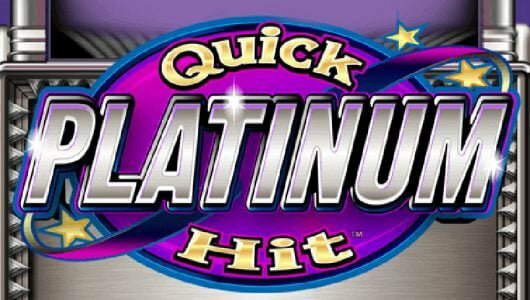 We have it on good authority that the hit frequency of the slots is around 22.85%. What it tells us is that it requires a bit of work to trigger a bonus round but well worth it. Playable on mobile phones and PCs bets start at £0.20 to £20. Symbols on the reels are cards from 10 to Ace (low value), girl with Nutcracker doll, mouse, soldier (wild), teddy bear, toy train, the Nutcracker and the Sugar Plum Fairy (scatter). The most important symbol is the mouse, land 5 of the at the maximum wager (£20) you’ll pocket 50x your stake. When the Nutcracker symbol pitches on the third reel during the main game it triggers the Nutcracker Gift Bonus. 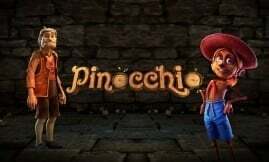 To reveal the amount of free spins you’ll receive you must pick one of the gifts boxes – free spins awarded can be anything from 5, 7, 8 or 10 free falls with a stacked multiplier (Nutcracker) that can be anything from 1x to 10x! Bear in mind the third reel is wild and primarily the domain of the ‘Nutcracker’ and it appears stacked on reel 3. Winning symbols are locked on each Nutcracker free spin offering you a re-spin in return. The Nutcracker has some admirable qualities the combination of its bonus features and sounds offers immersive play. 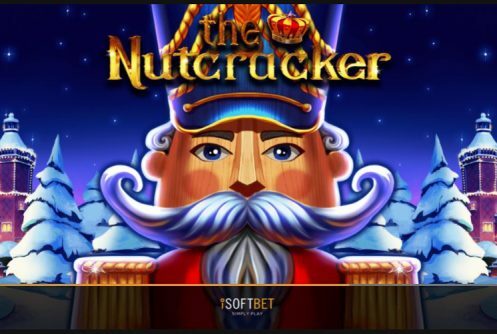 Christmas is truly a magical time of the year which the game portrays expertly, of the two free spins it’s easier to trigger the Nutcracker Gift Bonus expect wins of up to 150x your stake. 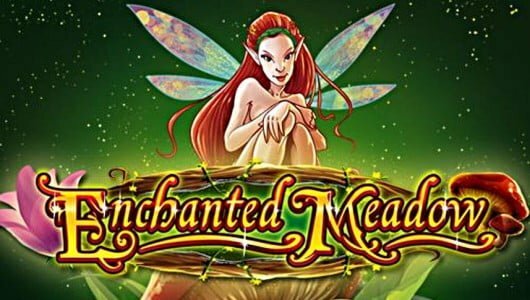 The fairy Free Spins is the more lucrative of the two thanks to a potential multiplier of 10x on each free spin that pays a cool 5,000x your stake. The developer added a lot of smart improvements that’s the definition of awesome making us want to plunge right in and play! How many special features does the game have? 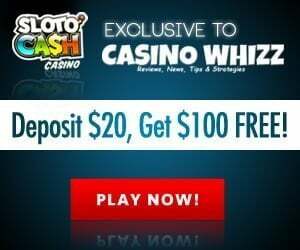 It’s fitted with 2 bonus rounds both are free spins features. The bonus mode is the Fairy Free Spins that is triggered by 3 or more Sugar Plum Fairy scatters. 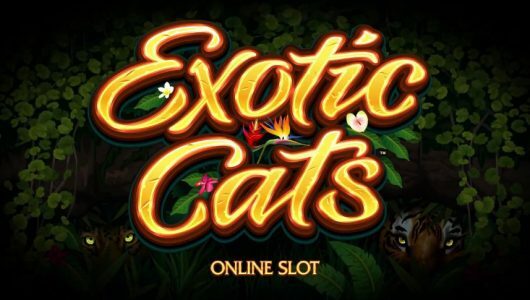 It can be re-triggered, 5 scatters awards 30 free spins, when another 5 scatters pop you’ll get an extra 30 free spins making it 60 in total. 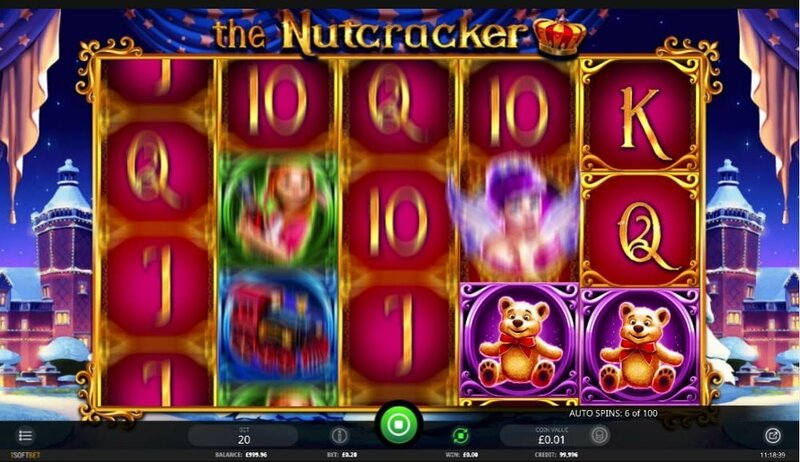 Keep an eye on The Nutcracker because it acts as a multiplier that shoots up to 10x for the big wins on each free spin. The other feature is The Nutcracker Gift Bonus, here you must pick gift boxes that rewards you 5 to 10 free falls along with a stacked wild and re-spins. Since it is a medium volatility game don’t expect to trigger the free spins features easy, work on anything from 60 to 85 spins. We recommend you play the game from £2 to £4 per spin, we find that wins are quite good at these bet levels. If you have the cash to burn go all out by this we mean wager the maximum £20 per spin!